Born on January 21, 1836, near Chillicothe, Ohio, and graduated from St Mary's College, Maryland, in 1855, and three years later from Cincinnati Law School, whereupon was admitted to bar and entered practice in Cincinnati. In April 1861, he enlisted as a Private in the 65th Ohio Volunteers. 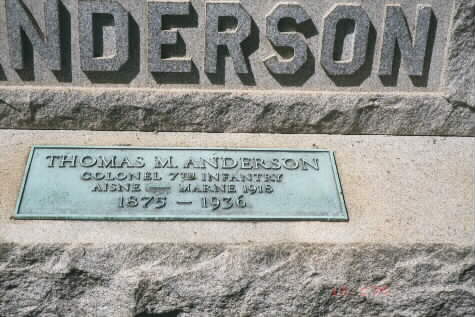 A short time later, through the influence of uncle, General Robert Anderson of Fort Sumter fame, he was commissioned Second Lieutenant of the 5th US Cavalry. He was soon promoted to Captain, and served through the Civil War with the 12th US Infantry, being twice wounded and twice brevetted, to Major for conduct in Wilderness and to Lieutenant Colonel for Spotsylvania Court House. After the war he remained in the Army, rising to Colonel, commanding the 14th Infantry. 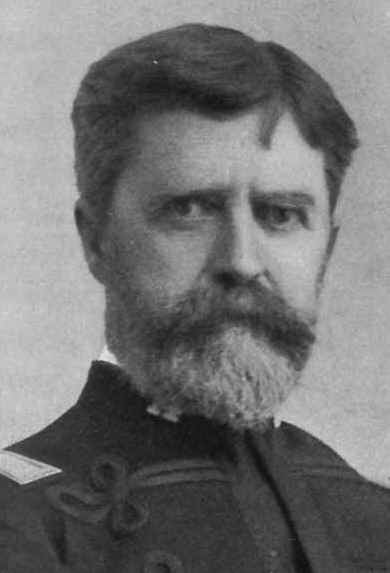 In 1898, with the temporary rank of Brigadier General, he commanded the first troops to reach the Philippines after George Dewey's victory in Manila Bay. Arriving July 17 with some 2,000 men, he occupied Cavite, the vital naval base in the bay, and on August 13, when US ground forces had grown to about 15,000, constituting General Wesley Merritt's VIII Corps, he led first of them into the city of Manila. In command of the 1st Div, he saw action in the battles of Santana, San Pedro, Passe, and Guadalupe in early months of the Philippine Insurrection. He was promoted to Brigadier General in March 1899, and retired in January 1900. He lived in Vancouver, Washington, until his death in Portland, Oregon, May 8, 1917. He was buried in Section 3 of Arlington National Cemetery. 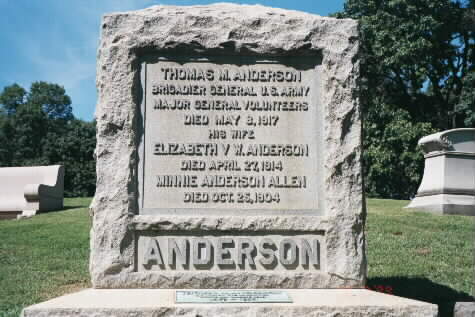 His married daughter, Minnie Anderson Allen, who died on October 25, 1904, is buried with him, as is his son, Thomas McArthur Anderson, Jr., Colonel, United States Army (1875-1936).